PRODUCT: Plastic Stretch Wrap / Speed Wrapping. Heavy Duty 16 inch wide X 1500 Foot Rolls. 4 Rolls/Case. Price/Case. 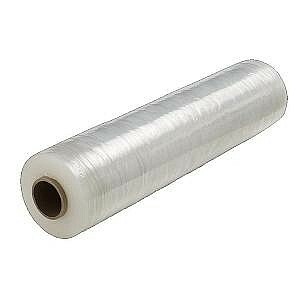 Heavy duty .47 mil (12 micron) commmercial shrink wrap plastic sheet. 1476' roll length (1968 total sq. feet). Thick cardboard tube fits speed wrap tools. Used for commercial packaging, wrappping, shipping, general purpose uses.